- Global leader in growth consulting. - Great exposure in APAC and Global market. - Outstanding career development opportunities. - Job based in Iskandar, Johor. 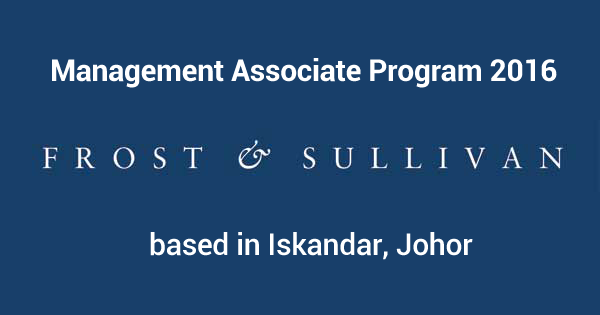 be earmarked as future mid-level leaders of Frost & Sullivan Asia Pacific. What it takes to quality? - Degree holders with minimum CGPA of 3.5 and not more than 2 years of practical business experience. - Excellent communication skill and executive presence. - Globally minded and ability to navigate in a diverse cultural environment. - Outstanding relationship building and networking skills. - Demonstrate self-awareness and ability to receive feedback Geographic mobility. Frost & Sullivan, the Growth Partnership Company, enables clients to accelerate growth and achieve best-in-class positions in growth, innovation and leadership. The company's Growth Partnership Service provides the CEO and the CEO's Growth Team with disciplined research and best-practice models to drive the generation, evaluation, and implementation of powerful growth strategies. Frost Sullivan leverages 50 years of experience in partnering with Global 1000 companies, emerging businesses and the investment community from more than 40 offices on six continents. WHY JOIN Frost & Sullivan? Frost & Sullivan is the world's fastest growing company in its industry. A career at Frost & Sullivan will be dynamic, fast- paced, and growth-oriented. The company has a very clear and ambitious vision of the future, which promises to make a career at Frost & Sullivan very rewarding. 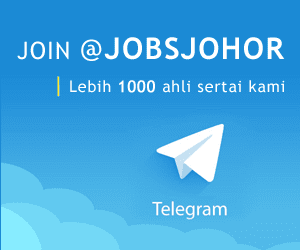 If you are interested, please apply online through JOBSTREET here.